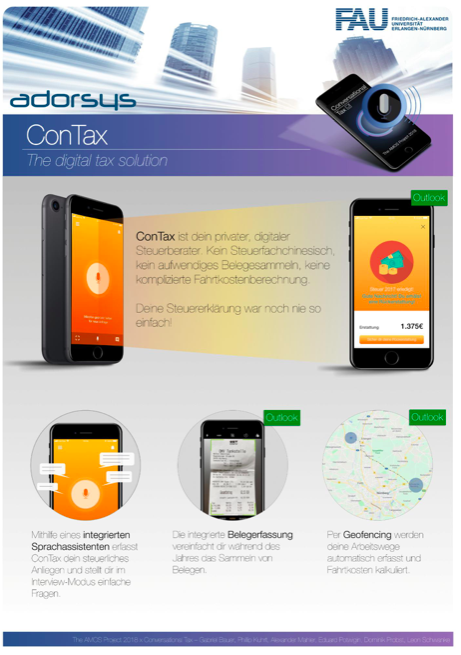 ConTax is a mobile app prototype, which demonstrates the use of a conversational/speech interface in order to aid the user with his/her tax declaration. ConTax is a cross-platform mobile app with an integrated speech assistant. It helps the user to collect all necessary paperwork over the year. In our prototype the user is able to store information about his/her work contract(s) via a conversational interface. Furthermore, the app is able to remind the user via notifications to enter necessary information.